As Chair of SERTUC's Public Services Committee, I was pleased to chair a FBU Solidarity meeting on Thursday at Congress House that brought together support from a range of different trade unions and different boroughs across London. The meeting proposed a range of practical measures to support the FBU, including asking for a draft message of support to be circulated that could be brought to picket lines on Monday 1st and/or on Friday 5th November. 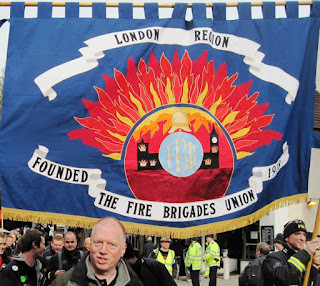 London FBU has been forced to take strike action in response to the disgraceful threat to sack over 5,000 fire-fighters unless you accept new worsened contracts. 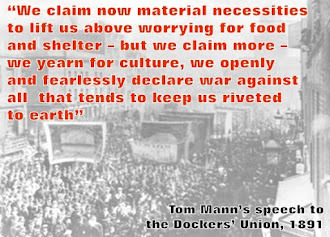 Your strike shows how to respond when management tries to impose worsened conditions on staff, a tactic being tried out by a growing number of employers and Local Authorities as they seek to make cuts at the expense of their workforce. Fire-fighters have every right to oppose changes to shift-patterns which would leave many families struggling to find childcare over extended day shifts. This dispute is, however, about far more than shift changes. We recognise that the proposed changes are really designed to bring about a threat to every Londoner – the threat to cut emergency cover at night, the time when risks from fire are greatest. Fire-fighters should not be vilified for standing firm when your employer refuses to negotiate but, instead, tries to break your action with badly trained strike-breakers. Your excellent ballot result and solid strike action sets a clear example to all trade unionists how to stand together to fight attacks on jobs and public services. We give you our support and pledge to organise as much concrete help and solidarity as we can to oppose the threat of mass sackings of fire-fighters. I hope the letter also summarises some of the key arguments to take to trade union members in explaining why to support the FBU's action.